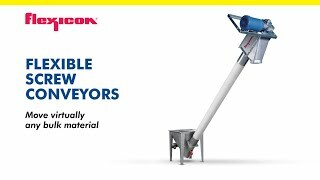 SAMSON specialises in the design and manufacture of mobile bulk materials handling equipment for surface installation across multiple industrial segments representing flexible and cost saving solutions. Proud suppliers to ports and terminals, mining industries and agricultural markets worldwide for 50 years. SAMSON Materials Handling Ltd. have provided a range of specialist engineering solutions to the bulk materials handling industry since 1966. We design and manufacture mobile equipment that can move an incredibly wide range of materials, and is used by companies in a variety of different and diverse industries, from mining and minerals to ports and power. SAMSON are part of the internationally renowned AUMUND Group, which also includes AUMUND Fördertechnik and SCHADE Lagertechnik in Germany, specialising in professional bulk handling solutions that provide the very highest levels of performance, engineering and reliability.